One thing we know is that The Boring Company is anything but boring. 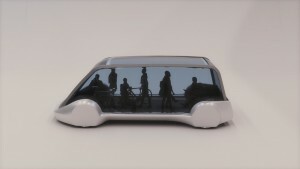 The brainchild of Elon Musk, The Boring Company has received a bit of backlash recently from public transit advocates who may or may not quite understand what the company is looking to do. In order to quell some of the criticism, Musk has altered the company’s mission somewhat, prioritizing pedestrians and cyclists over cars. Previously, people complained about Musk mocking public transportation so it appears he is trying to meet some folks in the middle now instead of forcing you to drive a car down his company’s tunnels. Obviously, some people don’t own a car, can’t afford one or simply don’t want to drive so in order to appease everyone, Musk has a solution. There will apparently be a 150 mph underground bus in the near future.